The Canadian government has tabled its #Budget2019. Budget 2018 saw additional support for further equality between genders, a noted focus in both the VCCI and Superclusters announcements. Last year’s budget committed to tabling pay equity legislation, Bill C-86, which passed in December, and committed more than $365 million towards women entrepreneurs across a variety of programs, including support for regional development agencies, the Business Women in International Trade Program, and Export Development Canada, as well as upped government commitment to the BDC’s Women in Technology Fund. Last year’s budget also announced $572.5 million over five years towards a national big data strategy as well as $85.3 million over five years towards an IP strategy that it has since pushed forward. This is the fourth budget of this Liberal government, and the last budget to be introduced before the federal election is set to take place in October. 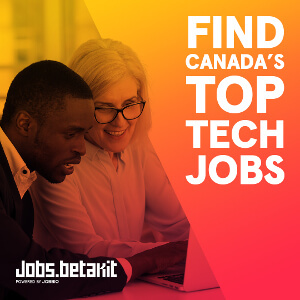 This budget features fewer significant capital commitments towards Canadian tech and innovation compared to prior budgets, and could be taken as an expansion of previously announced initiatives. Significantly, the budget features no mention of a national data strategy, despite the federal government launching consultations in June of last year. Establish and operate the Strategic Science Fund starting in 2022–23. As part of the 2019 federal budget, the government has proposed making the Global Talent Stream a permanent program. The program is set to receive a $35.2 million investment over five years beginning in 2019-20, with $7.4 million per year invested ongoing. As part of the Global Skills Strategy, which was announced in the federal government’s 2016 fall economic update, the two-year pilot program was meant to help Canadian companies access global talent, offering a fast-track visa with a process time of 10 days to two weeks for “low-risk, high skills talent.” The strategy also called for the creation of a Short Duration Work Permit exemption, which will apply to work terms of fewer than 30 days in a year. 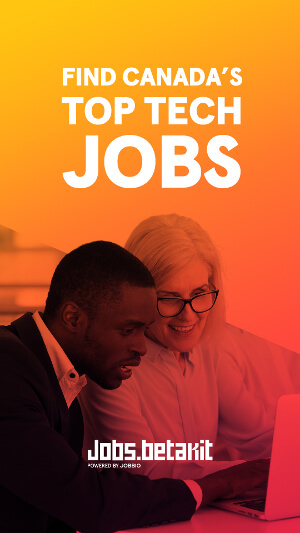 The Global Talent Stream launched in 2017, with targets of creating more than 40,000 new jobs for Canadian and permanent residents, develop 10,000 co-op placements, and invest more than $90 million in skills development and training for current employees. “A permanent Global Talent Stream will give Canadian businesses expedited, predictable access to top global talent when Canadian workers are unavailable,” stated the budget. The permanent status should be welcome news to Wattpad’s Allen Lau, Shopify’s Tobi Lütke, and North’s Stephen Lake, who have all expressed support for the program since its inception. The announcement was also welcomed by Benjamin Bergen, Executive Director of the Council of Canadian Innovators. In August 2018, Bains announced that six members of the Canadian innovation community, including Janie Béïque, Executive Vice-President, Investments, Fonds de solidarité FTQ, and Ilse Treurnicht, former CEO of MaRS Discovery District, would lead roundtable conversations across the country. In February of this year, the Ontario government also announced that it would seek public input on a new data strategy, with a focus on data privacy. Futurpreneur Canada is set to receive a hefty investment, with the promise of $38 million over five years, starting in 2019-20. Futurpreneur Canada will match these investments with funding received from other government and private sector partners. Toronto-based Futurpreneur is a national non-profit organization dedicated to “growing our nation’s economy one young entrepreneur at a time.” It provides youth from 18 to 39-years-old with pre-launch coaching, business resources, start-up financing, and mentoring to help them launch and sustain successful businesses. Founded in 1996, the organization receives both private and public funding from various levels of government. It previously received $14 million investment from the Harper government in 2015. Today’s $38 million is expected to support the work of approximately 1,000 young entrepreneurs per year. It also includes $3 million over a five year period to specifically support young Indigenous entrepreneurs. Aboriginal entrepreneurship programs saw a collective investment of more than $245.9 million spread across a number programs, including the Community Opportunity Readiness Program, the Métis Capital Corporations, the Aboriginal Entrepreneurship Program, and the Indigenous Growth Fund. The budget proposed $100 million, through the Social Finance Fund and the Business Development Bank of Canada, for the Indigenous Growth Fund, which is managed by the National Aboriginal Capital Corporations Association. The fund uses government investment to raise additional capital investments from institutional investors, and makes capital available to the 59 Aboriginal Financial Institutions across Canada that provide financing to Indigenous entrepreneurs. Aboriginal entrepreneurs are also being promised $78.9 million over five years, starting in 2019-20, with $15.8 million per year ongoing for the Community Opportunity Readiness Program, to help First Nations and Inuit communities build business plans, provide funding, and launch new Indigenous-led startups. The Métis Capital Corporations, which support the startup and expansion of Métis small and medium-sized enterprises, is set to receive $50 million over five years, starting in 2019–20, and the Aboriginal Entrepreneurship Program another $17 million over three years, starting in 2020–21. SR&ED, IRAP, and stock options, Oh My! SR&ED provides a 35 percent refundable tax credit to eligible small and medium-sized businesses, and a 15 percent tax credit to all businesses in the program. That 35 percent is determined by a business’ level of income and capital. According to the budget, one complaint that is often cited by entrepreneurs in the program is how the incentive changes based on the growth of their business. The government stated that its decision to eliminate the income threshold was in order to “ensure continued enhanced support for small and medium-sized innovative businesses that are experiencing rapid growth in income or may have variable income from year to year.” It noted that the capital threshold will continue to apply to ensure that the enhanced rate remains targeted toward small and medium-sized businesses. While SR&ED saw changes, the Industrial Research Assistance Program (IRAP) did not. IRAP is a national innovation assistance program for small and medium-sized businesses, and Bergen noted the disappointment of the Council of Canadian Innovators, which was hoping to see IRAP made available to scaling Canadian companies with more than 500 employees. 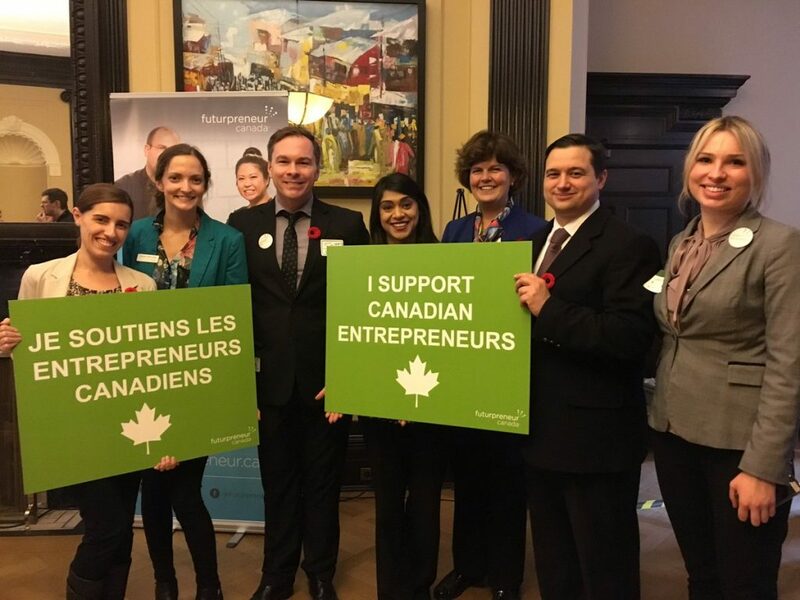 “While we welcome changes to the SR&ED tax credit that recognize the challenges scaling innovators face as they commercialize their inventions, we remain concerned that less than 1% of Canadian companies grow beyond 500 employees, and when they do, their continued support and success is not a priority of the government’s business innovation programs, like the Industrial Research and Assistance Program (IRAP). If Canada is to be home to large anchor companies in the digital sector, more work on the part of the government is needed,” he stated. The budget also proposed a change to employee stock option grants, to help align the Canadian system with that of the US. The government is proposing a $200,000 annual cap on employee stock option grants for employees of large, long-established, mature firms. According to government research, the employees stock option is supposed to allow smaller companies and startups to provide adequate salaries options, increase employee engagement, and promote entrepreneurship and growth. Budget 2019 proposes the $200,00 annual cap for large, long-established, mature firms, while “startups and rapidly growing” business’ employee stock option benefits remain uncapped. The budget stated that any changes to the program only apply on a “go-forward basis” and don’t apply to employee stock options granted prior to these proposed changes. It also noted that further details on the changes will be released before the summer of 2019. While the government presented the changes to the employee stock options as a way to help startups, the Council of Canadian Innovators, which represents more than 100 of Canada’s “fastest growing technology companies” noted disappointment. Internet is a basic human right to participate in the global economy. We stressed this point in our Digital Industries Table report. 🇨🇦’s budget includes our recommendation to deliver reliable internet to all: 95% by 2026, 100% by 2030. Our table members’ hard work paid off. The federal government has also committed up to $1.7 billion over 13 years to provide all Canadians access to high-speed internet. The goal is to provide a minimum of 50Mbps download speeds and 10Mbps upload speeds in 100 percent of homes across the country by 2030 (with an expected 95 percent saturation mark by 2026). The government will also partner with the Canada Infrastructure Bank to invest $1 billion over the next decade, with at least $2 billion in private sector commitments, towards increasing broadband access. Our friends at MobileSyrup have covered this specific Budget 2019 announcement in detail here. We suggest you read it! With files from Douglas Soltys.